Doing battle with a bug threatening to destroy thousands of our trees takes patience, strategy and a variety of tools. You can throw thousands of staff hours at it. You can remove hundreds of infested trees. You can even sizzle the invaders with electrified, bug-zapping replicas of the female emerald ash borer (though effective on a testing scale, I can’t envision stringing thousands of lines of the shocking beauties throughout the trees). But sometimes what you need is an answer both subdued and eloquent, another bug to target a thug that’s attacking our ash. 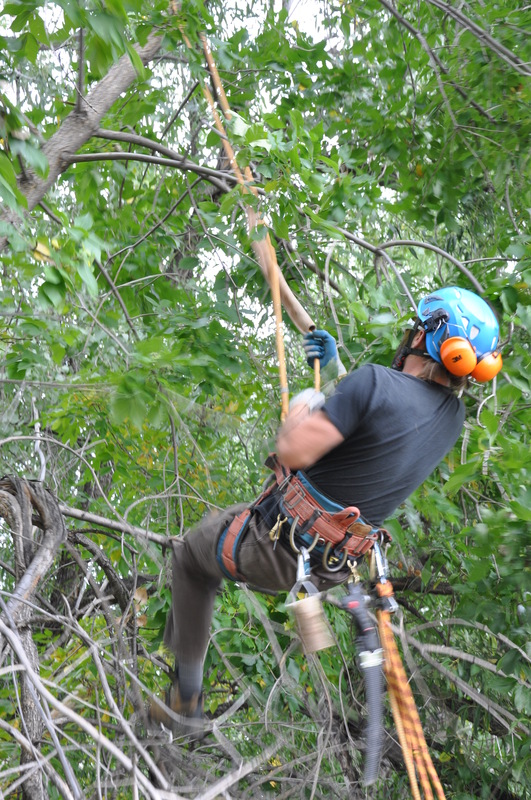 Dubbed the “Green Menace,” the emerald ash borer (EAB) has been found in Boulder, and Colorado’s interagency EAB Response Team is pulling out all the stops to try and halt the spread of the insect. With that in mind, they’re releasing wasps, but not the kind that disrupt picnics or carry toddlers off for a midnight snack. These tiny insects are harmless to humans and beasts; they’re stingless and don’t concern themselves with picnics or soda pop. Instead, Tetrastichus planipennisi target EAB larvae as they grow under the bark of the tree, laying eggs inside their bodies for the hatching wasps to use as hosts. 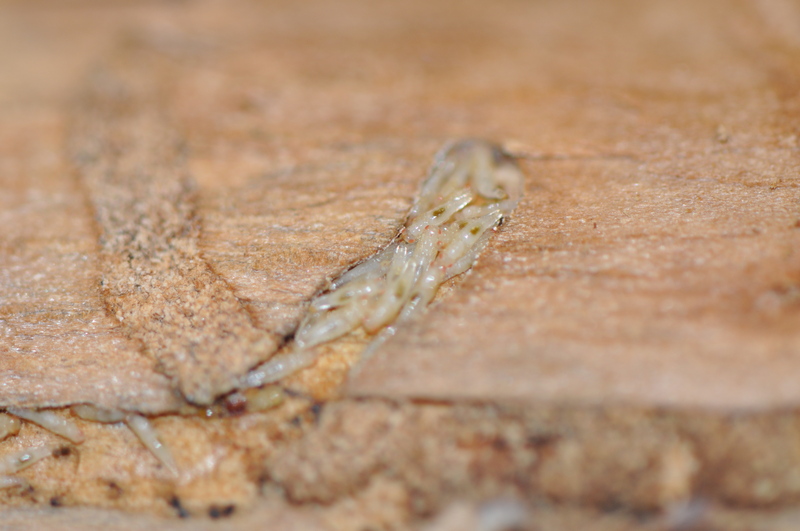 The growing parasitoid larvae ultimately kill their EAB hosts before they can mature. Each female wasp can lay up to 100 eggs in a single larva. More than two thousand of the wasps have been brought to Boulder already, and released through the combined efforts of the Colorado Department of Agriculture, University of Colorado, City of Boulder and the U.S. Department of Agriculture’s Animal and Plant Health Inspection Service (APHIS). For years, USDA has been employing biocontrols for use against EAB in the U.S., and they are providing the wasps at no charge to Colorado. There are moments during which I suddenly have soundtrack music cue up in my head, and in this case, the snippets of the William Tell Overture distract me as I contemplate what the wasps will do. But the release itself is a tad anticlimactic: no one screams “Release the wasps!” while swarms of adults cloud the skies. Rather, the release is a quiet one; the wasps rest in their pupal stage, nestled together in wood bolts attached to trees. They’ll gradually chew their way out and fly to find their prey, quietly doing what many of us cannot: finding EAB larvae. It is hoped that the wasps will help suppress EAB populations in the city and manage the insect’s potential future spread, much like a hero arriving to save the day. The wasps have been released on the East Campus of the University of Colorado, in a location that offers the wasps rich hunting, as ash in this area are hard-hit by the bug. According to a press release from the EAB Response Team, up to two additional Tetrastichus releases are planned in Boulder in the coming weeks, dependent on weather conditions. The parasitoid wasp Oobius agrili, which targets Emerald Ash Borer eggs laid in the late spring or summer, also is being considered for release here in 2015. Like EAB, Tetrastichus is native to Asia and the USDA conducted extensive research on it in its native range before bringing it to the U.S. for testing. Once here, they conducted further testing to ensure that the wasps won’t attack other insects in the absence of EAB. They determined that the wasp prefers to hunt EAB above all else, and even if they lay eggs on non-EAB larvae, the eggs don’t survive. Due to this, the USDA determined that Tetrastichus poses little risk to other insects here.